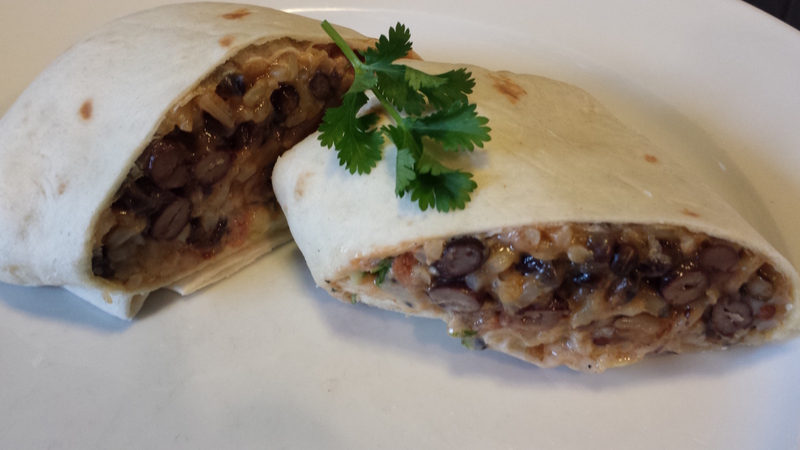 Black Bean Brown Rice Burrito. As you are likely aware, I’m a huge fan of burritos, tacos, and enchiladas. 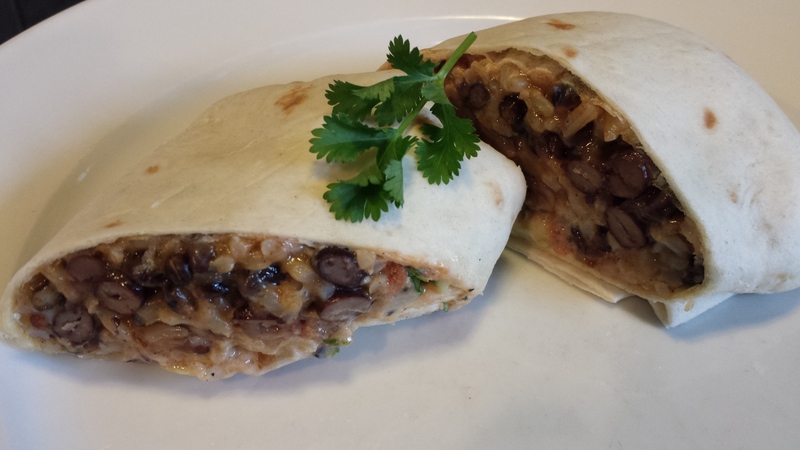 My Black Bean Brown Rice Burrito is a great selection for your #MeatFreeMonday (or #MeatLessMonday) meal and is very filling. 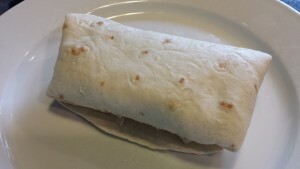 This burrito is also a simple sandwich wrap that is tasty warm or chilled. As my husband and I try to maintain our weight, and not gain back the pounds we’ve lost, I am coming up with healthier options. 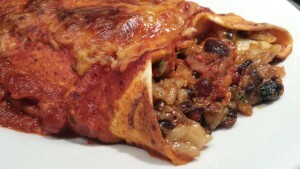 This black bean and brown rice burrito is based on Trader Joe’s Brown Rice Medley . It’s a favorite side dish of ours. This hearty rice medley pairs well with fish, poultry, and meat. I love its chewy texture. How to make this burrito? Start with Trader Joe’s Brown Rice Medley . Prepare 2 cups of rice medley as described on the package. 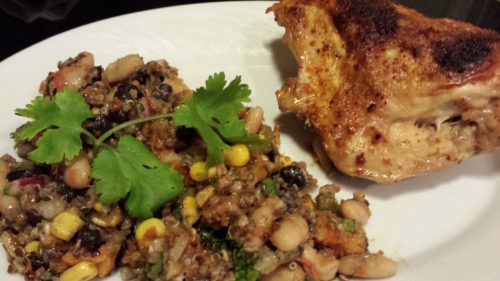 Or use 2 cups of your favorite cooked brown rice in this recipe. You’ll need some burrito size flour tortillas. The bigger, the better, for rolling purposes. 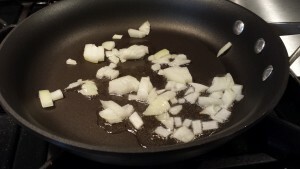 Saute diced onion in some oil in a nonstick skillet. 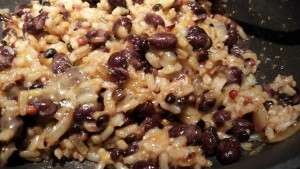 Add some black beans, chili powder, cumin powder and the rice medley to the onion. Add the shredded cheeses and stir until the cheeses melt. To a warmed flour tortilla, add some cheesy bean rice mixture. Sprinkle on some salsa, chipotle cream dressing, and chopped cilantro. Fold the tortilla edge over the filling. 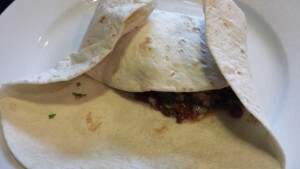 Fold in the two sides of the tortilla over the folded edge. And roll up the tortilla into a burrito, tucking in the sides. Slice the burrito and serve! 1. Heat your oven to 300 degrees Fahrenheit. 2. Wrap foil around the tortillas, keeping them flat, and set aside. 3. Prepare the Trader Joe’s brown rice medley according to package directions and set aside. 4. Heat the oil in a non-stick pan over medium heat. 5. Add the diced onion and saute until the onion is translucent. 6. 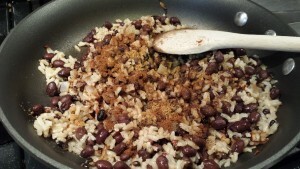 Add the black beans, rice medley, chili powder, and cumin to the onion and cook over low heat, stirring often. 7. 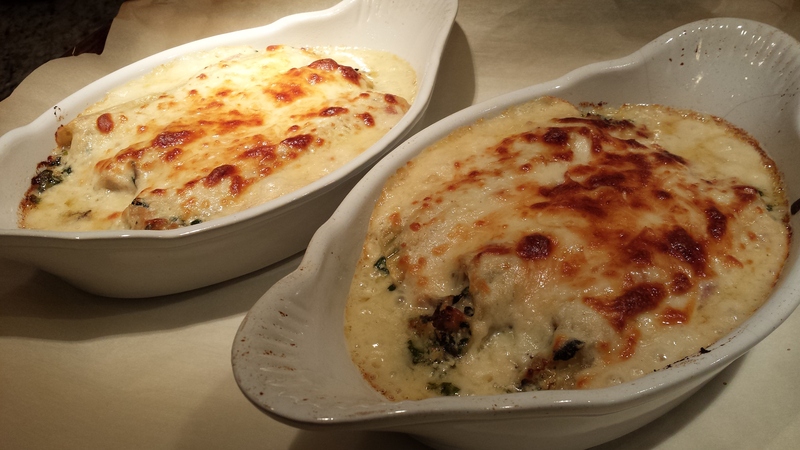 When the bean rice mixture has warmed through, add the shredded cheese and stir until the cheese has melted. 8. Warm the foil-wrapped tortillas in the oven for a few minutes until they are heated through. 9. Remove the tortillas from the oven and then plate one. 10. Add a bit of bean rice mixture to a warmed tortilla. Over the bean rice mixture, spoon on some salsa and drizzle some chipotle cream dressing. Add the chopped cilantro. Don’t overfill the tortilla or it won’t roll properly. 11. Pull one end of the tortilla over the bean rice mixture. 12. Fold in the two sides. 13. 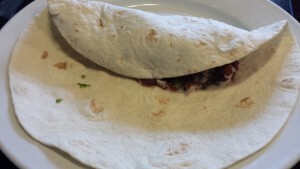 Roll up the filled tortilla into a burrito tucking the seam side underneath. 14. Slice in half and plate. 15. Repeat with the remaining three tortillas. Makes 4 burritos. Serve burritos with some Spicy Black Bean dip and additional Salsa along with tortilla chips. Chill the burrito for a nice quick sandwich wrap for lunch. Variations: Add some diced red or green bell pepper to the onions before you saute. Omit the cheese and chipotle cream dressing if you are watching your fat intake. Add some chopped cooked chicken or taco meat. Use a flavored tortilla for a different flavor. Add some chopped tomatoes, diced avocado and shredded lettuce to the filling. 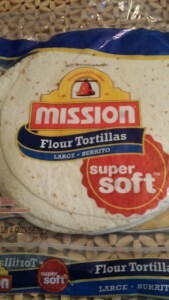 Just don’t overfill the tortilla or it won’t roll up properly. 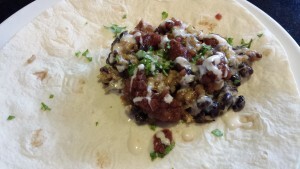 For a vegan burrito, omit the chipotle cream dressing and the shredded cheeses or substitute vegan cheese. 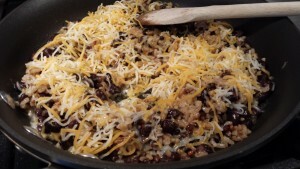 Try the bean rice mixture as a filling for an enchilada. 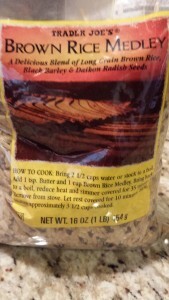 Top with my Red Enchilada Sauce and bake at 350 degrees Fahrenheit for 15 – 20 minutes or until the center of the enchilada is hot.